I thought it would be wise to mark my flickr photos so strangers couldn't favorite them. Then I realized the way I did that actually made all my photos private, which wasn't what I meant to do, so I switched it back, but that messed up some stuff and now I have to sort through everything. Yuck. 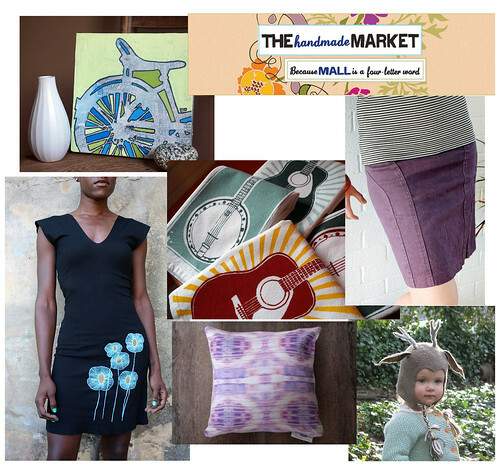 Tomorrow we'll be at the Handmade Market, hand-making it up as we go. As I usually do, I've picked out a few pieces we're excited to see! So much good stuff, come out and see it too! And if you're too far away, check out the vendor list and see what you're missing. Most of us ship, too. Ahem.